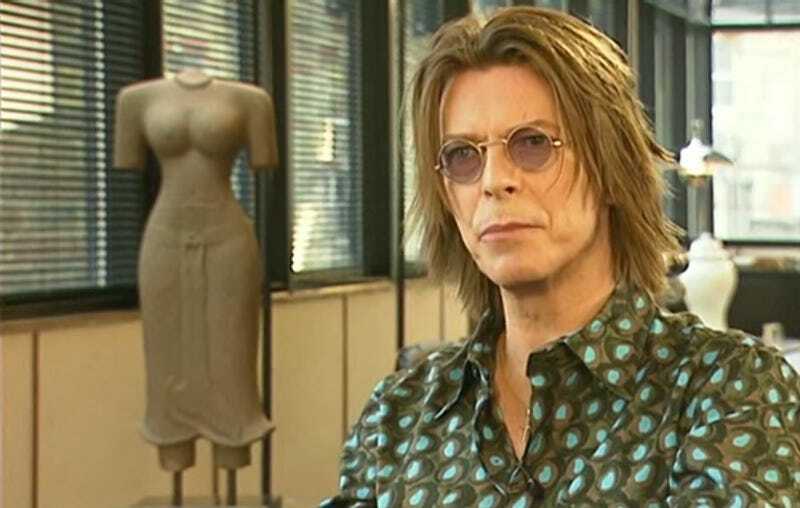 In 1999, Davide Bowie sat down for a TV interview with BBC host Jeremy Paxman. Bowie explains that if he were a kid of the 1990s he wouldn’t have become a pop star. Instead, Bowie probably would’ve become obsessed with the internet. Why? According to Bowie, that’s where the potentially interesting—chaotic, nihilistic, and truly rebellious—stuff was really happening. But the interviewer, Paxman, isn’t convinced. Bowie had a back and forth with the interviewer, who at one point says that claims being made for the future of the internet are “hugely exaggerated.” Bowie shoots back with a wallop of sarcasm about people who doubted that things like the telephone would change the world. You can watch the entire interview on YouTube, but I’ve pulled out and transcribed the important bits below. “The internet carries the flag for the subversive and possibly rebellious and chaotic and nihilistic...” Bowie says before the interviewer starts to interrupt him. “Oh yes it is,” Bowie says back before Paxman can properly interrupt Bowie’s thought process. “Forget about the Microsoft element, the monopolies do not have a monopoly... maybe on programs...” Bowie said as he trails off. “What you like about it is the fact that anyone can say anything, or do anything,” Paxman says incredulously, more as a statement rather than a question. And it’s here where Bowie gets to the stage in his vision of the future that perhaps best defines the second decade of the 21st century—an era where everyone from actors, musicians, and even the President of the United States all communicate with enormous audiences instantaneously. Bowie talks about breaking down the walls between the artist and the audience, and how much that fascinates him. “I really embrace the idea that there’s a new demystification process between the artist and the audience,” Bowie says. He continues on to talk about how the 1980s and 1990s saw a tremendous fragmentation of musical genres, which he sees as positive for establishing interesting communities. Paxman expresses extreme skepticism that the internet will have much impact on the world at all. And Bowie can’t help but ridicule this line of thinking. “You’ve got to think that some of the claims being made for it are hugely exaggerated, I mean, when the telephone was invented...” Paxman begins. “Of course they are,” Bowie interrupts with a cheeky grin. “...people made amazing claims...” Paxman says trying to finish his point. “It’s just a tool though, isn’t it?” Paxman says, clearly still believing that Bowie is making something out of nothing. “No, no, it’s an alien life form,” Bowie says with a laugh. “What do you think then...” Paxman says.